We have a peel for all skin types & concerns. Look your best for that special occasion with smooth, glowing skin. Advanced peeling options for smooth, refined skin. Superficial Peel for anyone with dry, flaky & sensitive skin. This potent antioxidant rich fruit enzyme peel will remove dead skin cell buildup whilst dissolving excessively peeling skin. This formula has been designed with sensitive skin in mind as it soothes, calms and hydrates the skin without causing irritation. Superficial Peel for dull & dehydrated skin types. A multi-function Lactic Acid peel that can be administered safely on all skin types. With strengths ranging from 15% to 40%, a course of these peels will help fade surface pigmentation, smooth rough skin and increase natural moisture production. Superficial multi acid peel, all skin types. An advanced clinical grade exfoliation peel to eliminate dead skin cells, detoxify the dermis & reduce congestion. Formulated with Alpha Hydroxy Acids (AHAs), wrinkles and pigmentation are reduced and the skin is left more balanced and hydrated, enhancing the effects of subsequent treatments. Metabolic Peel for congested, clogged, breakout prone skin types. Aspects gentle clinical alternative to the Jessner Peel. With high concentrations of Salicylic Acid to lift skin clogging dead cells and a potent rainforest plant complex to act as an oil controling agent, a course of these skin balancing peels will help you achieve the smooth, calm and clear complexion you crave. 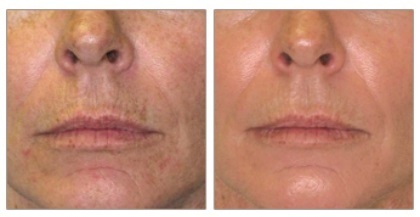 Metabolic Peel for sun damaged, pigmented, lacklustre & uneven skin tones. A powerful clinical strength BHA (Salicylic Acid) is used for it’s skin renewal & skin brightening action. Whilst lifting away the accumulated layers of dull, discolored skin cells, the remarkable skin whitening action of optically pure vitamin C and organic Tyrostat™, from the North Canadian prairies, will help to restore clarity and brilliance to the skin. Metabolic Peel for aging concerns, particularly good for open pores, fine lines, wrinkles and age spots. This Age Deception Peel cheats your way to youthful, enviable skin! BHA will slough away unsightly dry, pigmented skin whilst clinical strength organic cocoa and red wine extracts penetrate deep into the skin to work best on reprogramming the skin cells to behavior like younger ones. The result, enviable skin that makes you look younger. Also known as SilkPeel, Hydrafacial, Hydra Microdermabrasioin & Hydromicrodermabasion, this clinical microdermabrasion treatment with anti aging or clearing peptide infusion will help smooth fine lines & wrinkles, treat acne & scarring, brighten the skin, intensely hydrate & smooth rough skin texture. The ideal monthly skin health treatment for sun damaged, oily, acne, blackhead & congestion prone skins. Also known as medical microdermabrasion & dermasweep, “super” micro is a superior clinical grade microdermabrasion treatment with the added benefit of a customized medi peel to refine pores, treat acne, brighten the skin, intensely hydrate and smooth rough surface skin texture. The ideal monthly skin health treatment for dry, dehydrated, congested & aging skin. Not for the faint hearted… The acid-free herbal green peel is a trauma peel for dramatic resurfacing of acne scarring, enlarged pores & sun damage. This marine mineral & herbal active medium depth peel is for anyone happy to have some treatment discomfort & down time in order to quickly effect dramatic changes in their skin. Very popular with celebrities who are required to have smooth, flawless skin at all times. Remove unwanted surface dulling dead skin cells with hydromicrodermabrasion prior to activating your natural skin rejuvenation processes with IPL skin rejuvenation. This combination of devices accelerates the collagen and elastin stimulation results by activating the skin brightening peptides infused by the hydromicrodermabrasion. Our favorite treatment for correcting breakouts, sun damage and minor scarring. A course of 6 treatments fortnightly is best for optimum results. Ask our medical aesthetician & laser clinician about a discounted customized treatment package just for you. A superior clinical grade skin resurfacing and illuminating treatment with E light dual function skin rejuvenation. This combination of IPL, RF skin tightening & Hydroderm accelerates the collagen, elastin & hyaluronic acid production deep within the skins dermis to give outstanding results by instantly illuminating the skin with no down time. Our favorite treatment for correcting surface pigmentation, fine lines, dull skin, enlarged pores and wrinkles. A course of 6 treatments fortnightly is best for optimum results. Ask our medical aesthetician & laser technician about a discounted customized treatment package just for you. The best all round treatment for non invasive skin resurfacing!! We prep the skin and clean the pores with customized hydromicrodermabrasion and then resurface the skin with non invasive Emerge fractional laser. Ideal for acne, pitted acne scarring, enlarged pores, surface pigmentation, fine lines, wrinkles, sagging skin and uneven skin tone and texture. Really quick recovery for pitted, red acne scarring. Mud Therapy is not just good for detoxifying pores. It will remineralize the skin to help it withstand pollution and environmental aggressors. * Try adding this to your next peel or microdermabrasion treatment. When you know a peel is not enough to leave your skin smooth and refined, add extractions for extra pore clearing. 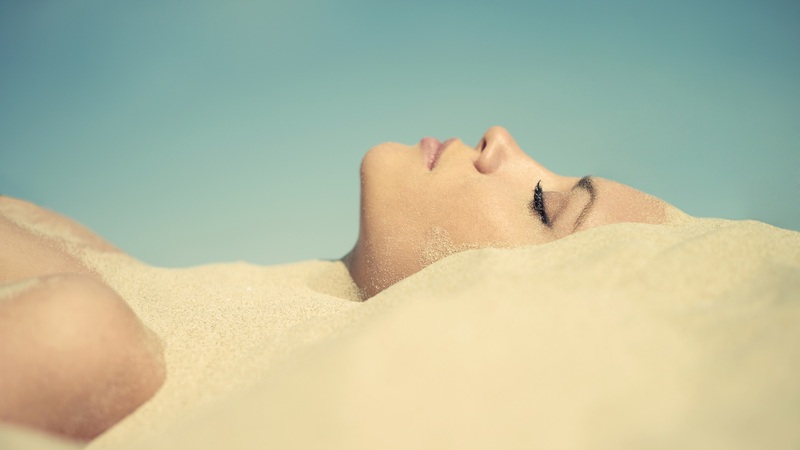 Detoxifying Mud therapy is applied after the peel to draw out impurities and nourish the skin with mineral nutrients. The ideal addition for very congested and blackhead prone skins. Oxygen therapy is the ideal addition to a skin resurfacing peel when acne & reactive skins are in need of clarifying, revitalizing, sanitizing and soothing post treatment. The best way to open up the skin and drive your probiotic peel deeper is with microdermabrasion prior to your skin peel. Ideal for thickened, sun damaged and rough textured skin to get the most out of your peeling treatment. The addition of LED light therapy to your skin resurfacing treatment will speed up collagen & natural moisturising factor production, repair scarring, tighten the pores, brighten pigmentation and calm the skin. The best way to take your facial from short term surface results to long term dermal results. When tired & devitalized skin needs deep hydration and collagen stimulation the addition of multivitamin dermal boosters and a hyaluronic peptide sheet mask will intensely brighten and hydrate the skin for an enviable dewy complexion. Works really well with LED Light Therapy and very popular prior to a special event. What is the difference between a Superficial Peel and a Metabolic Peel? Superficial peels require no skin preparation prior to treatment and work on the surface (epidermis) to slough away dulling dead skin cells. In most cases there is little to no downtime post peel, only illuminated skin. Metabolic peels work on the deeper epidermis and in some cased the dermis to effect positive skin changes over a period of 1 month. By not only sloughing away dead skin cells these peels contain ingredients that work with the skins natural anti aging processes to speed them up or in some cases of over production eg. excessive pigmentation and oil production, they will slow them down. These peels generally require pre treatment consultation and specific home care products to acclimatise the skin to the high strength ingredients in the peel. This depends on the reason for your peeling session. A superficial peel, such as the Lactobotanical Peel, will give you a smooth, hydrated complexion to act as the perfect canvas for your makeup application if you have an event to attend. A metabolic peel, such as Jungle Brew, will help to reduce excessive oil production over time whilst it sloughs away congestion on the surface and in the pore. This is the best peel for acne, blackheads and breakout. It is always best to take the time to have a consultation with a skin professional to ascertain the right treatment option for you. Due to the activity of medical grade peels you will notice a little tingling or discomfort initially with all peels. Metabolic peels work over a number of days so you may have a little dry, flakey skin we call down time. This usually is addressed with post treatment hydrators and corrects itself in a week. The Deep Sea Peel and the Purple Peel both carry some treatment discomfort of stinging or heating. This does subside over time but you will be rewarded for your bravery with smooth, plump skin in approximately 14 – 21 days. Are there any risks associated with medi peels? As with any resurfacing treatment the skin will respond with a measure of shock and dryness. Most tolerate this well with little complications if any. Occassionally some will be more reactive and produce hystamines that can cause a hive reaction in the skin. This can be alleviated with anti-hystamines and some clients will take an anti-hystamine prior to treatment if they know they are prone to hystamine reactions. If you shed quite drastically you can be at risk of scarring and hyper pigmentation if you pick at the scabbing skin. It is vital that you adhere to the pre and post treatment guidelines to ensure you get the best results from your medi peels with minimal risk. Can everyone have a medi peel? Any one on Roacutane and some other medications. Pregnant women can only have Lactobotanical, Blueberry Smoothie or Pomegranate Peel. Any one who has had a resurfacing or cosmetic injectable treatment in the last 2 weeks. Skin that has been exposed to extended sun exposure or solariums. Any one with an impaired skin barrier.